"A family man gains instant celebrity status serving as 'pitchman' for a feminine enhancement product." 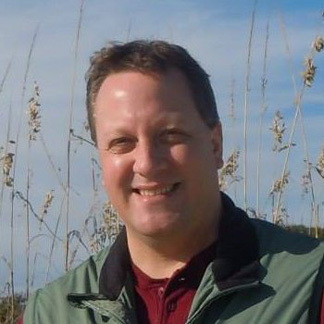 I’m a graduate of Oneonta State University SUNY, where I majored in Political Science. I received my Masters’ Degree from Dowling College in Oakdale, New York. I live in Holly Springs, North Carolina with my wife Jenny and son Benjamin. Served as lead Special Education Teacher for over 16 years. Worked with students classified with learning disabilities, severe and profound needs, and significant behavioral concerns. Currently working at Triton High School, in North Carolina teaching Social Studies, Math, and Language Arts. In my spare time, I enjoy writing comedy and dramafeature screenplays, listening to jazz, rock, R&B, studying American History, following major sporting events,and just relaxing at home. Working on fifth major feature screenplay with intentions to broaden my writing expertise and connect with production companies. Living, loving, and always learning. Be prepared for the discussion by reading Tugnutt: A Love Supreme now. "A cancer-ridden English teacher and an adopted Korean teenager cross paths in Chicago while searching for identity and the relationships that define family." Adam Stephenson is an American actor and screenwriter known for the films Huevos Rancheros, Evan's Crime, and PROXY. He can also be seen in 2018 on TV in episodes of Thirteen Reasons Why and ATLANTA. 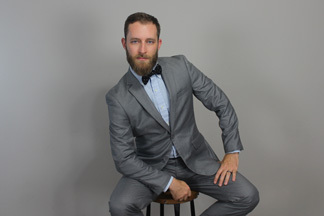 Born in Baytown, TX and raised near Houston and the Gulf coast of Louisiana, Adam never lived anywhere for more than 4 years before reaching college. He often refers to himself as an "accidental actor". After graduating with a B.S. in Secondary Education from Louisiana State University, Adam landed in Chicago substitute teaching. While applying for full time teaching positions, he interned briefly at a talent agency. Eventually the film industry offered more opportunity and he abandoned teaching to jump straight into auditioning; quickly landing an agent who recommend he get more training. That training led to The Second City Conservatory where he graduated from their program in 2012. Part of the conservatory program included introductions to Sketch & Screen Writing. It helped Adam reshape his understanding of writing from the long form prose he learned at LSU to the performance mediums he is now in. Since then he has written and produced several webseries, and his short film Huevos Rancheros, which has played at 11 film festivals and received 5 Best Drama Short nominations and 1 win at the Windy City Film Fest. His Feature screenplay Searching for Landmines won Best Screenplay at Twister Alley Film Fest. Adam is married and shares two rescue mutts with his wife. They also share an extensive library. Adam is an avid reader and reads an average of 120 books a year. He has been known to say, “Sometimes it works out to put the cart before the horse." "Josh's life is always the same. Same boring office. Same boring people. Same boring office casual. Same boring job. Then one day a doughnut shows up on his cubicle desk." Muse Seymour is an author and screenwriter originally from Wisconsin in the United States, but has been writing abroad in London and Paris over the last few years. He has previously worked on indie films as a script doctor and currently has several short film scripts in pre-production and another on the film festival circuit. The Doughnut Admirer has been selected for film festivals around the globe being named a finalist at the Best Film Awards in Romania and winning Best Screenplay at the Windy City International Film Festival and most recently the Miami International Short Cinefest. Be prepared for the discussion by reading The Doughnut Admirer now. Frank tells a personal story from a friend that relates to The Doughnut Admirer. Be prepared for this week's episode by reading The Doughnut Admirer now. "When a widower falls in love with a younger woman, the only thing standing in the way of true happiness is a loving family." I've been writing creative scripts with interesting characters since my mother bought me an Emerson tape recorder when I was eight. I learned to imitate the Muppet characters and record myself doing it. Rich Little was my idol, but close behind was Casey Casem. My tape recorder had a wired mic, so I could record music and also record myself introducing the records like he did. I started my radio career in a basement radio station at OSU-Lima in the fall of 1985, and it lasted until fall of 2013, 18 years, during which I also founded a video production company, Allen Film & Video. Ltd. (founded 9/12/2001, the day after the terrorist attacks). I continued my writing doing commercials for radio and television, as well as for corporate clientele. I was also a musician, and I wrote songs for several bands I was in. My bandmates' homework would be to come to practice with a riff. They'd play it and I'd kick everyone out and take 5 minutes to write a new song. They'd come back in and we'd work out the arrangements and smooth out the kinks. In 2006 I was the 1st AD on a feature film and had no idea what I was doing, and thus, had a terrible experience with it. I wasn't sure I wanted to make movies. But in 2007 I took part in the 48 Hour Film Project in both Cincinnati (as editor) and in Cleveland (as DP/Camera Op), and enjoyed myself. Appreciating the 48HFP as I did, I contacted their HQ in late 2007 to see if they'd be interested in started another Ohio leg of the tour in Columbus, and they made me Columbus' first City Producer. I ran the 48HFP in Columbus for 6 years, but had to step down due to the failing health of my father, who had moved in with us. My Dad had Lewy Body Dementia, which has a Parkinson's component, and a dementia component, and is different from other dementias in that the sufferer is aware of what's happening to them (unlike Alzheimer's) and the disease often brings with it terrible hallucinations. He lived with us for 18 months and passed away in December, 2013. My Dad and his home health care aides were the loose inspiration for my story, "Melting Pot". I love heartfelt or quirky comedies that can only take place in the space inhabited by real people. Paul Giamatti in "Sideways", Ellen Page in "Juno", Jack Nicholson in "As Good As It Gets", Henry Fonda in "On Golden Pond", Diane Keaton in "Something's Gotta Give", Jon Favreau in "Chef", and also, Jack Lemmon in "Grumpy Old Men", which was the inspiration for the tone of my script and my film. I like my entertainment to come in more than two dimensions. I like it do be deeper than most people expect. My favorite cartoons were the original Looney Tunes because sometimes the background action was as telling as the foreground action. Sure, the Road Runner is eating grain in the foreground, but behind him the coyote is hoisting a huge ACME safe up over his head, hoping to drop it on him. To this day when I direct a film and I want a busy but purposeful background, I tell my crew I want to "Bugs Bunny" the shot. The music I enjoy is also multi-dimensional. The progressive rock bands of Toto, Yes, ELO, Pink Floyd, Kansas and Rush all harnessed a deep level of musicianship, structure and vocal harmonies that carried an audiophile farther than their headphones. Those bands created a visual experience with their music... theatre of the mind. So, today I'm a writer/director. I wrote my first screenplay in 2006/07, and didn't really pick it up again until I started taking part in the NYC Midnight screenwriting contests. I wrote a short horror script for a team in a filmmaking contest, but the team fell apart and the script was never produced. The next year I was asked to write a script for a Winterfilm entry and was asked to be a part of the production, where I produced and, to a lesser extent, did some assistant directing. 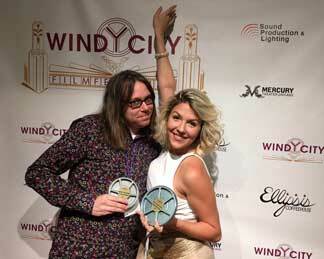 "Wildcat" won 5 awards and 8 nominations at Winterfilm III, and it finally launched what I'm currently working to get off the ground, 10 Ring Films. "Three former high school friends reunite for one night and attempt to escape their failing relationships by reliving their old glory days." 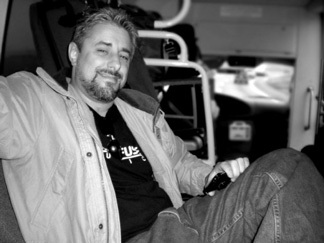 In 2005, Josh established his own production company, Olive Entertainment, and has written, directed and produced a number of award winning films. 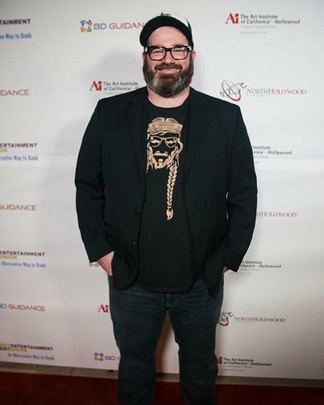 Josh's latest feature film, The Life and Death of an Unhappily Married Man was released has now won over 25 awards. Josh serves as Co-Festival Director for the Windy City Film Fest & is the Head Programmer for Washington State's Gig Harbor Film Festival.